Electrics OnTap are comprehensive domestic electrical contractors based in Aldrington. The electrical team you can always depend on is Electrics OnTap’s qualified and efficient electricians. We have you covered for any residential electrical project, big or small. We design our services to match all requirements. Our services are constantly assessed by leading regulatory agencies, all of which we are registered with. You are already assured of our quality services because of this. We understand the risks that domestic electrical emergencies pose, so we make it easy for you to contact us. Why Choose Electrics OnTap Electrical Contractors in Aldrington? Every project we do has our signature service and quality. Apart from providing professional and quality electrical services, our clients enjoy great customer satisfaction. We always finish before the deadline and within budget. To not incur any extra costs, our team always works fast. Our team is made up of highly qualified and experienced electricians. For your small and large domestic electrical installations, design, testing, maintenance, repairs, and so on, we are the experts you need. 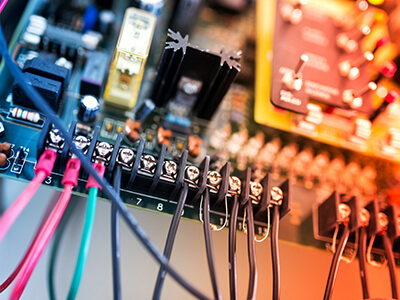 In complex electrical designs, we have a track record of proficiency and excellence. Before we send someone out to you, we ensure they are well screened. The idea is to determine the perfect team for your needs. Do you have some domestic electrical installations you need a professional to handle? Give us a call today. Residential Electrical Services Price List The prices will depend on a few factors. One is the kind of repair or installation you need. Another are the accessories to be used. To be sure, call 01273 723600 now for a quote. We offer a range of major domestic/residential electrical services in Aldrington. Regardless of the size, we will be delighted to handle it. Electrics OnTap covers a wide range of domestic electrical installations. We ensure all our domestic electrical installations meet every standard and regulation. For the installation of smoke indicators and fire alarm systems, we have the latest tools. We will provide you with all kinds of fire alarm systems. Electrics OnTap electricians will assist you in choosing the best alarm system for your building. We also cover your CCTV installations. We cover periodic maintenance inspections and so reduce the chance of fire incidents. 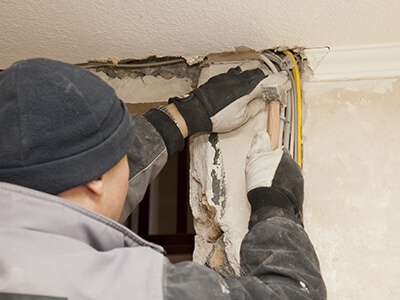 At Electrics OnTap in Aldrington, you will be provided with a complete house rewiring service. We have the experienced electricians to remove your old wiring and replace it with new. This could require the installation of new sockets and switches. If this is the case, Electrics OnTap experts will first carry out an assessment of the condition of your whole wiring system to ascertain the level of work that should go into it. All over Aldrington, there is no better fuse board repair service. Our fuse board repairs are costs effective and last a long time. The first step is to do fault finding to determine the correct repair method for your fuse board. Do you think your room needs a multimedia system or are you looking for extra sockets for your kitchen? For any domestic electrical installation need anywhere in Aldrington, contact Electrics OnTap. We will boost your home through quality electrical installations. The best way to give your room a facelift is through lighting. We are your best choice. We never look down on any size of lighting project. Our experts are more interested in offering you the best in services and at an affordable price. We will install your interior and exterior lights without disrupting anything you are doing. No matter what your light fitting budget or interest is, we have the people for the job. We understand how much of a big deal it is to let strangers into your home. Therefore, we only use professional and NICEIC approved electricians. Your home will gain some ambiance and security with our exterior and garden appliances. We will provide you with any outdoor or garden appliance you require. In need of solar flame lights, atmosphere lights and their installation? Give us a call today. Our installation services have been offered all around Aldrington. Cooker and boiler installations are part of them. We only allow well trained and experienced electricians to carry out this project. They engage in detailed design and survey of the areas the installation will be made in to determine the most efficient way to go about it. Electrics OnTap contractors handle all kinds of heating system services all around Aldrington. Are you looking to repair your old boiler or replace it with a new one? We will have new ones installed in your home in no time. We will advise you on how best to save energy for your heating systems. Contact us for your high-quality services in all aspects of heating within domestic areas. For your bathrooms especially, it is important to use only professionals for any installation. We are experts in electric shower installation around Aldrington. Electrics OnTap contractors will supply new showers for the replacement of old ones. The maintenance and plumbing will be undertaken by our experts. One way to ensure your electric shower system is safe is to have it done by a qualified electrician. Installing the right shower unit for you is a guarantee from us. If you are having even a minor domestic electrical emergency, give us a call. Whether it is for a new light and switch fitting or getting an extra socket, our team of qualified electricians are here to help. Our electricians do a speedy job while still maintaining our signature quality service. Electrics OnTap contractors provide cost effective domestic electrical services in Aldrington. Do you want to move your TV to another room? Looking to have an extra phone socket installed in another room? You can take advantage of our team of qualified electricians to get your TV, phone and socket wirings done. We are the leading brand in TV, phone, and socket wiring. Our electricians are professionals and will make sure they don’t stay longer than necessary. We are skilled in installing the right socket in your room and in the most effective area. We are the leading brand for lighting upgrades in the UK. We undertake the design, supply, and installation of large scale LED lighting upgrades. This way, we are directly ensuring that your lighting consumes less than half the energy traditional lighting consumes. Our electricians are known for their speed and efficiency. Our speed ensures we spend less time in your home and consequently reduce inconvenience. Like other things, electrical installations and connections become less and less efficient with time. Your electrical installations may become less efficient due to wear and tear, corrosion, circuit overload, or accidents. A professional electrician will be needed to properly trace your circuit and fix any fault in your home. We are Aldrington leading repairers of emergency electrical breakdowns. They are qualified electricians, capable of undertaking a full wiring and installation diagnosis and a quick lasting repair. Electrics OnTap PAT testing is another way to ensure your home is safe and compliant. Every household appliance does not yield to visual inspection. Some others require the attention of a professional. At Electrics OnTap, our team of qualified and experienced engineers will conduct a trustworthy PAT test on all your electrical equipment. Our goal is to provide you with a simple, cost effective PAT test. This way, we provide you with peace of mind knowing your family or tenants are safe. Wherever you are in Aldrington, our electricians will be there. By law, every landlord should have their electrical installations inspected from time to time. Your periodic electrical inspections will be conducted by qualified experts with the latest equipment. We afford you peace of mind through periodic reports and inspections. Thorough and regular inspections can save lives. During our inspections, we make sure to check the box of every regulatory requirement. As a landlord, you owe it to your tenants to ensure their safety. In a single visit, we will be able to get you your landlord’s certificate. So, we are most likely not to inconvenience your tenants or cost you more money. Landlords will also be provided with gas safety certificates, PAT testing, and electrical certificates. We handle all battery testing. All your basic security and safety system design, installation and upgrades will be handled by us. We ensure that only qualified electricians work on your domestic safety and security systems. We supply only the best quality from trusted manufacturers. Consequently, we guarantee durable security installations. Our electricians have seen to the installation of many outdoor power and lighting projects in Aldrington. We find the best angle to position your garden lights. We can bring into effect any exterior lighting design you imagine. Our professionals are knowledgeable in the varieties of outdoor options and techniques ranging from contemporary lighting to the traditional lantern-shaped outdoor lights. We are open all day and night throughout the week. At a moment’s notice, we can send someone to your location. Upon arrival, we will design and begin implementing a fault-finding strategy. All Electrics OnTap electricians are approachable. They will explain the faults both in detail and in plain English so that you understand everything. Our electricians will then make sure you are acquainted with future best practices to avoid further occurrences. We are skilled in fault finding and repairs. We provide you with the best electrical services throughout Aldrington at affordable prices. You can trust our cost-effective domestic installation strategies. We work both efficiently and quickly to ensure we stick to budget at all times.